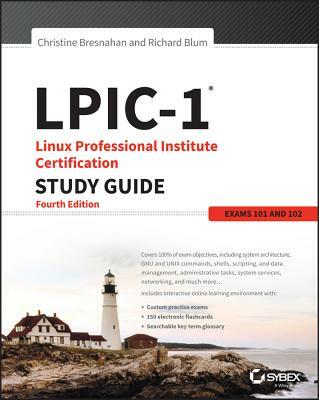 The LPIC-1 Linux Professional Institute Certification Study Guide, 4th Edition is your one-stop resource for complete coverage of Exams 101-400 and 102- 400. This Sybex Study Guide covers 100% of all exam 101-400 and 102-400 objectives. You'll prepare for the exams smarter and faster with Sybex thanks to superior content including, assessment tests that check exam readiness, objective map, real-world scenarios, hands-on exercises, key topic exam essentials, and challenging chapter review questions. Reinforce what you have learned with the exclusive Sybex online learning environment, assessable across multiple devices. Get prepared for the LPIC-1 Exams 101-400 and 102-400 with Sybex. Interactive online learning environment and test bank covering both LPIC-1 exams, including 200 chapter review questions and two 50-question bonus exams. 150 Electronic Flashcards to reinforce learning and provide last minute prep before the exam. Comprehensive searchable glossary in PDF format gives you instant access to the key terms so you are fully prepared.